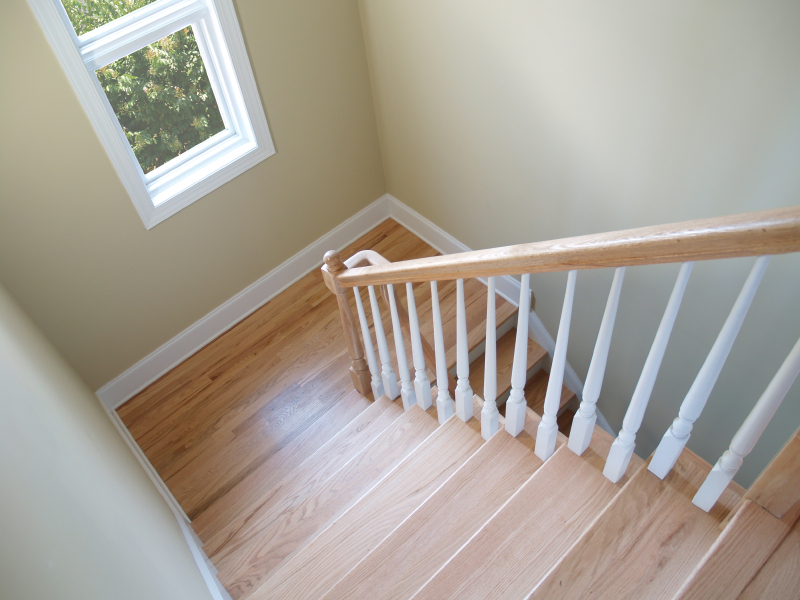 Prefinished hardwood stair treads and risers are a great option for homeowners who want to refinish their staircases. Prefinished hardwood stair treads and risers can be retrofitted to accommodate any size and shape staircase and are produced in a variety of customizable colors. Prefinished hardwood stair treads and risers are a cost effective way for homeowners to revamp old carpet covered staircases and modernize their home. Call Fred Callaghan Carpet and Flooring today to learn about our prefinished hardwood stair treads and riser products and let us help you with your home improvement project. If your staircase has spindles you will need to work with a carpenter to safely remove the spindles prior to stair tread and riser installation. Visit the Fred Callaghan showroom and browse our samples or call to schedule a complimentary in-home measuring appointment.